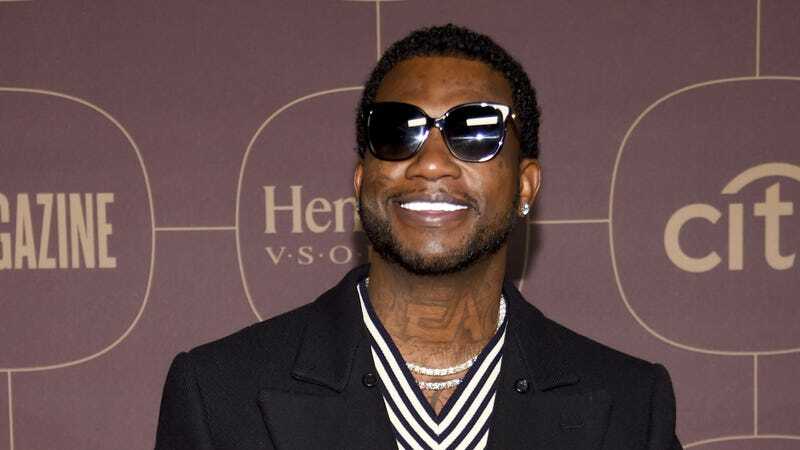 According to Variety, Paramount Players and Imagine Entertainment have begun developing a biopic of trap pioneer Gucci Mane. The movie will based on his autobiography, which—as we noted last year before it was released—follows him through “his roots in Alabama, the streets of East Atlanta, the trap house, and the studio where he found his voice as a peerless rapper.” In addition his successful hip-hop work, Gucci Mane has also began to develop an acting career. He appeared in Harmony Korine’s Spring Breakers in 2013, playing a drug dealer and appearing alongside James Franco, Selena Gomez, and Vanessa Hudgens. Hopefully that means the biopic about him will include some kind of scene where he’s making a movie in the movie, which is always a good setup for some weird meta gags.